In my life this week… After washing windows and swimming laps, I needed to rest for several days. It worked out beautifully because a whole stack of reading material was waiting for me. We had warm weather much of the week, but when we needed to turn the fire on everyone seemed to relax. This fireplace insert that we bought to save money on heating oil seems to be improving our quality of life as well. In our homeschool this week… I am amazed at how much Miss 11’s writing ability has improved this year. She takes notes on Flying Animals of the Fifth day, writing over a page a week. Now that she has become involved with NaNoWriMo she’s also enjoying writing fiction, and it’s giving her a whole new level of confidence. Helpful homeschooling tips or advice to share… Being able to write is very empowering and is also a very important life skill. If your kids like to write, give them opportunities to do so. If they don’t, make it worthwhile to them. I let my children drop all their English (literature, reading, spelling, handwriting, typing, grammar, and composition) during the month of November so that they have time for NaNoWriMo. We also saw a wide array of medals, heard the little whistles the Chinese army would blow before attacking to intimidate our troops, and touched combat helmets. (Virtual) Field trips… We’re visiting England during the early years of Victoria and learning a lot about her childhood and her early years as queen. This topic came up in Miss 11’s Ambleside Online reading this week. Unfortunately, though, the rating, G, given for The Young Victoria is not accurate. My favorite thing this week was…Veteran’s Day, Sense and Sensibility Week, and reading Wonderland Creek (review coming). Questions/thoughts I have…Who is writing down the stories of all the war heroes and other old people? They have so much to share. You should have heard all the life lessons that the RCMP/UN policeman impressed on my children. Things I’m working on… Since I’ve run out of energy for big jobs like fall cleaning, I’m mending, reading, reviewing, reading aloud, planning gifts, and organizing the favorites list on my computer, besides all the usual homeschooling tasks. 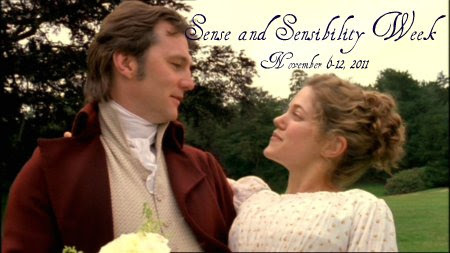 Zephaniah, Sense and Sensibility, and House of Hope. I finished Remembering You, The Christmas Shoppe, Love on the Line, Wonderland Creek, and A Lancaster County Christmas. The little Misses and I finished Little House in the Big Woods. Together we’re all enjoying the dynamic stories in O Canada. After reading both Matthew and Mark, we’re taking a break from the gospels to read through Proverbs again. We read it fairly often; my goal is to have the children be intimately familiar with this book written especially to teach young people. I’m grateful for … Life. Running water. Electricity. Freedom. The gospel.